I visited the Birmingham Alabama Temple on the Epic Summer road trip of 2011 with my wife and Daughter. 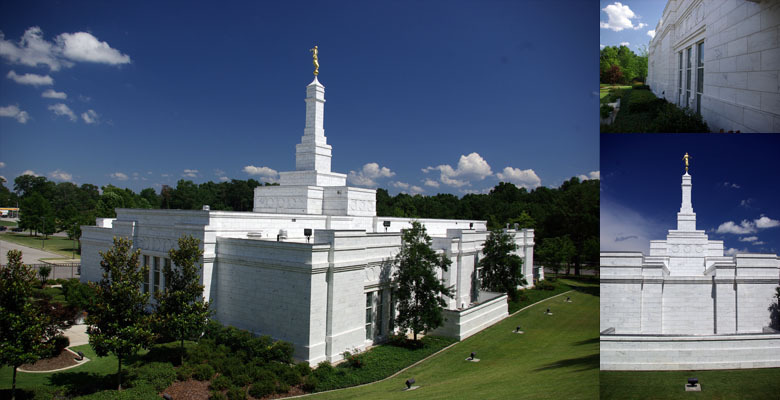 Birmingham Temple sits in a spot of ground that was hollowed out of the hill behind it. The lawn goes up the side of this hill, which is about as tall as the temple. It provides a wonderful sheltered lawn and backdrop. It also provides a nice vantage point to view the temple from.